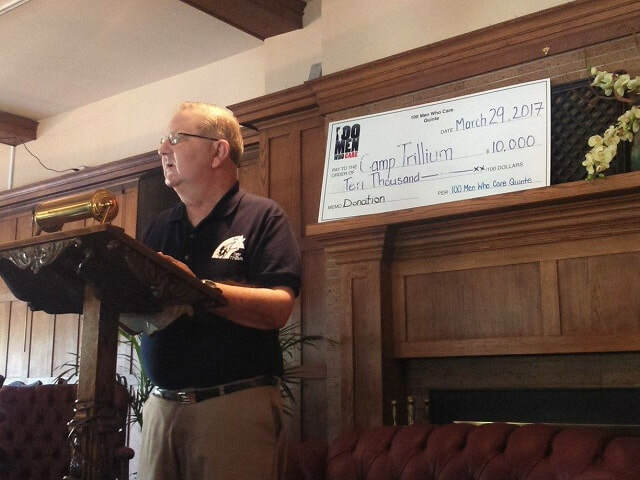 The 100+ Men Who Care Quinte group recently selected San Damiano Foundation (SDF) — headquartered in Madoc — as the recipient of their 10th $10,000 donation. 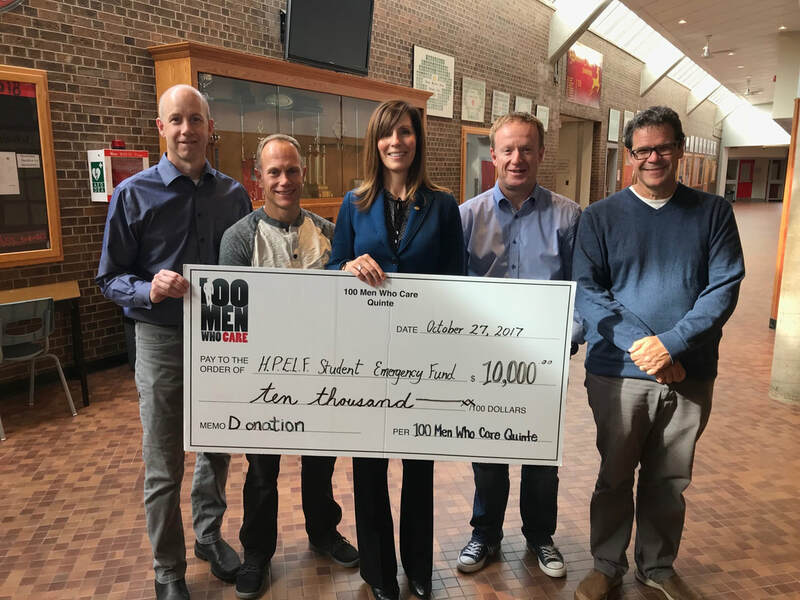 The 100 Men Who Care campaign is at the cusp of donating $100,000 cumulatively back to local charities in the Quinte community since the group started two years ago. 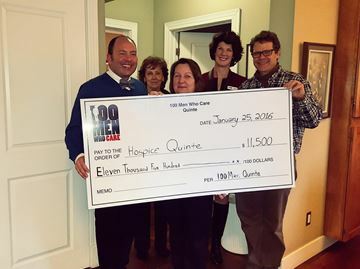 Hospice Quinte Executive Director Helen Dowdall (middle) and board members Darcey French (left), Joan Guthrie (second from left) and Julie Lange (second from right) accepted a cheque for $11,500 on Jan. 25 from members of the 100 Men Who Care Quinte group. 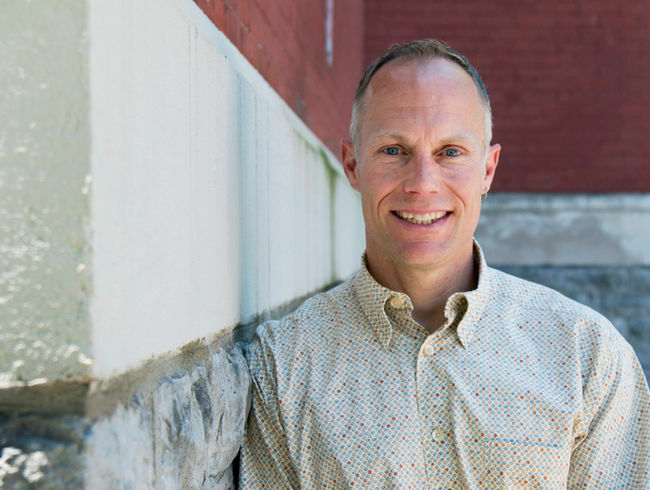 The 100 Men are represented in this photo by Ken Manderville (right). 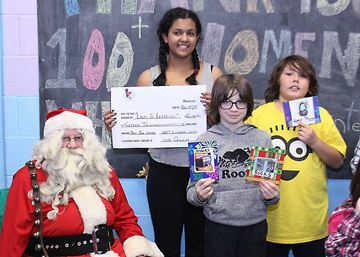 BELLEVILLE – A local men’s group is coming together to support charities in the area. 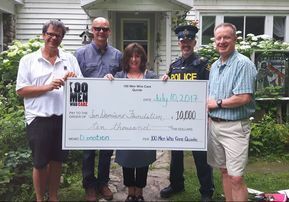 100 Men Who Care Quinte club members, Tony McGarvey (first Left) and Ian Press (first right) make a donation of $10,800 to Frank Hamper and Brenda Miller, volunteers with the local meal program. 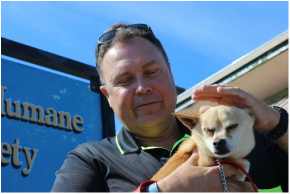 100 Men caring for 100 animals. 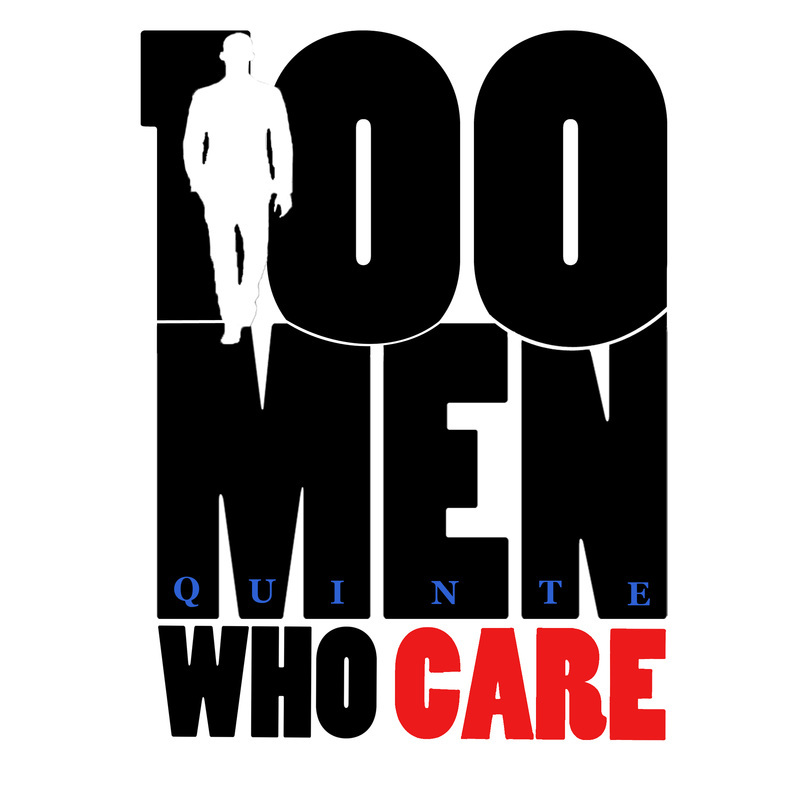 What is this new group "100 Men Who Care Quinte"? 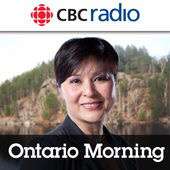 How do a group of Quinte men show they care about their community? 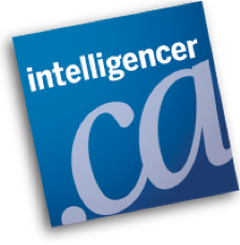 Then, online, I saw something else that helped restore my faith in humankind. 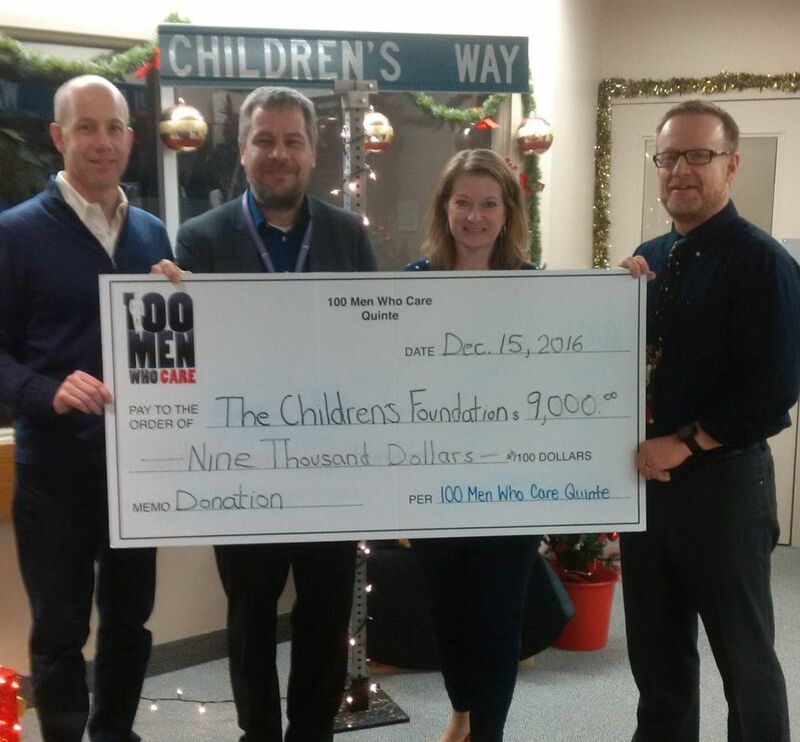 It’s a piece that appeared in these pages Thursday about a group called 100 Men Who Care Quinte.